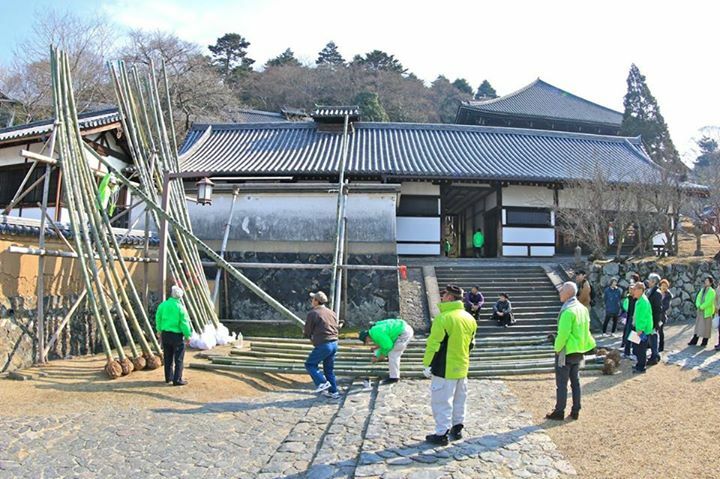 The preparation for Omizutori (March 1st-15th) at Nigatsudo hall in Todaji temple is ongoing. We, the neighbors around Naramachi Guesthouse offered a huge bamboo pole which will be used as a torch on Feburary 11th. I always feel that spring is almost there during this event. 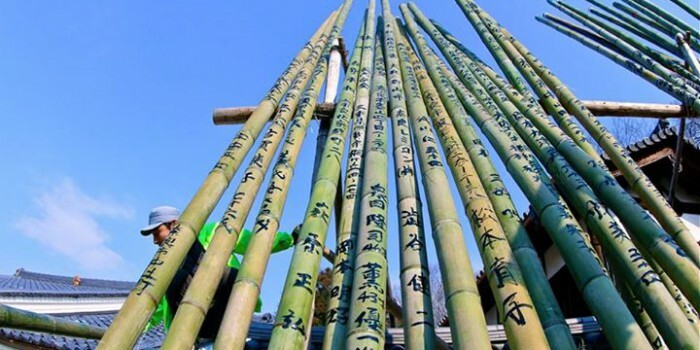 The bamboo poles with roots are 8 meters long and weigh 60kg each. Copyright © 2014-2017 GUESTHOUSE NARAMACHI All Rights Reserved.